One bedroom cedar cottage, nestled into a cottage garden with a path leading to the orchards. The property is set on 1.5 acres, fully self contained with one QUEEN bed / bedroom and NEW en suite (July 2011), plus new sofa bed (Nov 2013) in the open plan living area. Lovely warm place to stay in either summer or winter as it is north facing and has a logfire for the winter, with air conditioning and heaters as required. The property is an oasis of a variety of fruits in the orchards which covers the property. Most times of the year there is fruit to sample. At the rear of the property is Driving Creek stream where the first gold was discovered in New Zealand and today you will find crystals there for a souvenir. Within walking distance (5min) is the famous Driving Creek Railway, where Barry Brickell, a world famous potter has established a truely fasinating environment, with potters and his world famous railway PLUS there is now the Driving Creek Wildlife Sanctuary and new Art Gallery which will exhibit Barry's private collection of very famouse artisits not to forget the fabulous views of the habour and islands. Also see the restablishment of native trees and wild life. On the way stop off at the funky Driving Creek Cafe. The historic village of Coromandel is under 3km, with fabulous restaurants and craft shops. The 3 local pubs all provide courtesy vans door to door. The cottage is 7-8 mins to the closest safe beach or under 30 mins to the beautiful Whangapoua, NEW CHUMS and Matarangi Beaches on the east coast. Also there are bush walks to native Giant Kauri Trees, artist studios to visit, great fishing region - if you do not have a boat we would be happy to organise a trip for you or a trip to the Cape perhaps. While smokers are welcome, smoking is outside please,on the covered outside verandah. Single Night surcharge $45.00 . . . Smoking accepted outside, on covered verandah. Pet dog acceptable with prior approval, but must not be left at cottage on their own. Very quiet and comphy, cottage has everything to make your stay the best possible. Lovely extensive garden for Toby to explore. Absolutely no problems, thanks Shirley for your pleasantt hospitality. Graeme and Marion and Toby. Graeme and Marion, thank you for the lovely review. You were a pleasure to have stay, and excellent guests. My cat is missing her new friend Toby, and the three of you are always welcome back. We had an amazing stay at the Cottage and enjoyed lazing in the sun in the orchard and the deck. Immaculate property with everything you could need including a cozy fire and very comfy bed! Thank you for the lovely review, and I am really pleased you enjoyed your stay. You were a pleasure to have stay, and always welcome back. Great accommodation, great location, immaculately clean. Great hosts. What more can we say! We loved meeting you both and having you stay. Your charm, vitality and enjoyment of your holiday was delightful. Thank you for the lovely review, and we are very pleased you enjoyed your stay with us. Orchard Cottage is perfect! Just far enough out of town to feel serene. Well equipped with friendly owners. Clean quite cottage with everything you need to enjoy your stay. 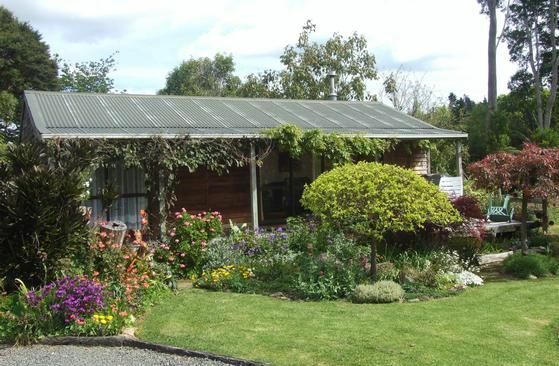 Great location to stay at while exploring the Coromandel area. Shirley was a great hostess. Quiet private location. Just a perfect place to stay couldn't wish for Anything more. We loved our stay and all the little touches added to make it special. Garden is just beautiful to look and walk around in or sit on the front porch and enjoy. We will have very special memories of this place and the owner is so lovely and helpful but still very private from the accomodation. So thankful to have stayed here. I am sorry I missed saying goodbye, but didn't want to disturb you. I am delighted you have lovely memories of your visit with us, and it was lovely to have such a charming and appreciative couple stay. You were excellent guests, and we appreciate the lovely review. Thank you Kerry, and I hope the rest of your stay in NZ is enjoyable and memorable.